Quilting Adventures: Weekend moment of sanity .... part trois! By Sunday, I was ready to start a new project. I started Moda Frivol 9. 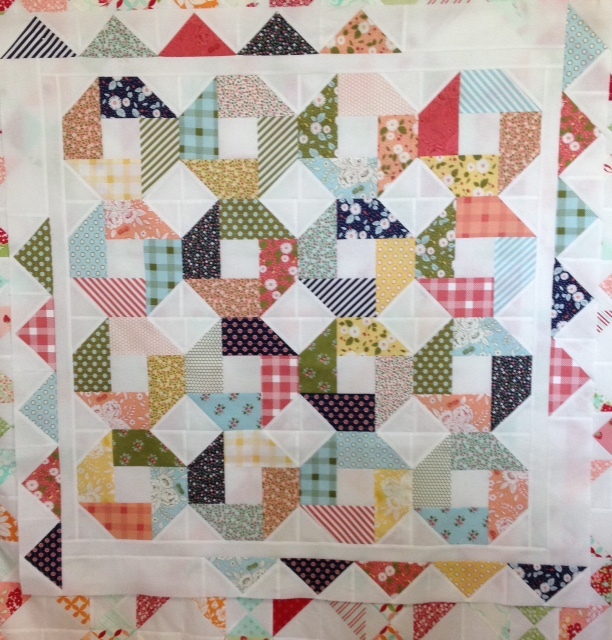 What a cute quilt! Have I mentioned how I enjoy working on Frivols! So satisfying. I hadn't taken Snippet off the design wall yet! lol I was in the zone! 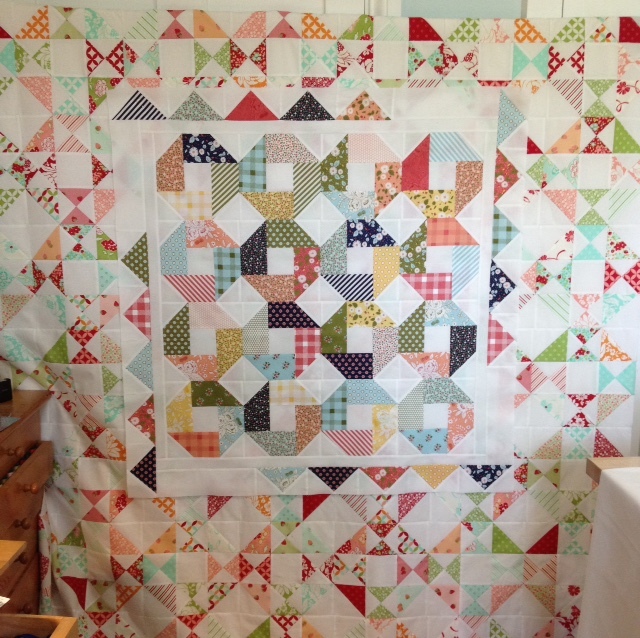 Moda Frivol 9 is called Olive and uses Little Miss Sunshine fabric line by Lella Boutique. 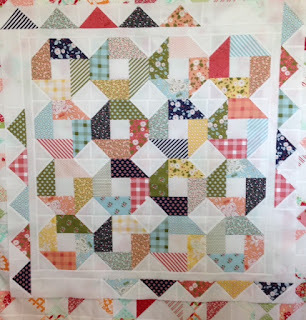 Here is a close up of the quilt! I just love how it turned out! That "Penelope" pile is getting bigger and bigger! Moda should employ you as their frivol champion! They look great!